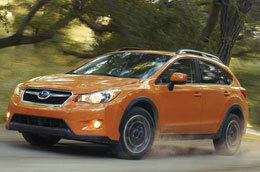 Scroll past the 2013 Subaru XV Crosstrek review video below to start reading about the new XV Crosstrek. Our Subaru reviews are compiled by veteran automotive writers - it's just another resource we provide as a prominent Subaru retailer in Kansas City. The following article is loaded with beneficial data- it contains everything so that you can make informed decisions about the Subaru you want to buy. 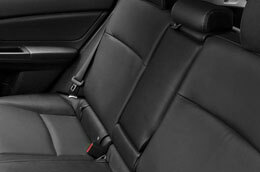 Read on to see if the 2013 XV Crosstrek should be parked outside your home. By examining the 2013 Subaru XV Crosstrek against the 2013 Mitsubishi Outlander, Mini Cooper Countryman and the Jeep Compass, and you can find that the XV Crosstrek scores higher those autos in several zones. Look through the hightlights below. Van Subaru auto repair service in Kansas City is only a click away! Your Subaru deserves to be treated properly - that means Subaru factory- trained technicians, trustworthy 2013 Subaru XV Crosstrek parts, and the satisfaction that comes from a 12-month service work warranty. Turn to the auto repair experts in Kansas City, Van Subaru, when your Subarus takes a thrashing. For routine oil changes and other Subaru services like tire alignment and mends and windshield wiper replacement, come to us. We even tackle more complicated endeavors with no trouble, including jobs like engine repair. Van Subaru's got you covered for tried-and-true Subaru repair and factory-scheduled service in Kansas City. Take a look below to view money-saving service specials.